The fabulous life of the rich! 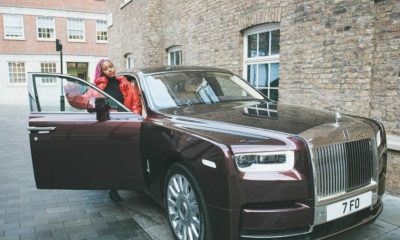 Warri billionaire and Oil magnate, Ayiri Emami celebrated his wife’s birthday yesterday, Thursday 23 October, by buying her a Rolls Royce – but not just that, he went further to customize the car specially for her. 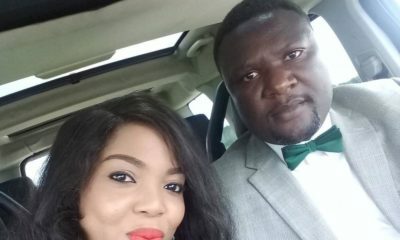 In the pictures posted his wife Asba Emami looks completely speechless and surprised and we don’t blame her. 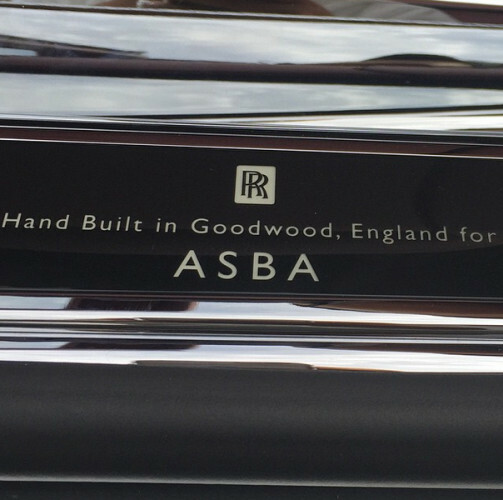 A customized Rolls Royce is quite a gift. 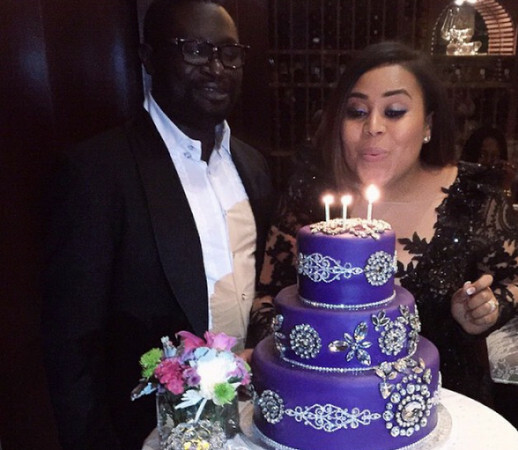 Earlier in the year, just as Valentines day was approaching we saw a number of Nigerian celebrities exchanging expensive gifts as a show of affection (click here if you missed it). It is refreshing to see that a couple that has been married for several years can still be so in love and going to far monetary lengths to show this. 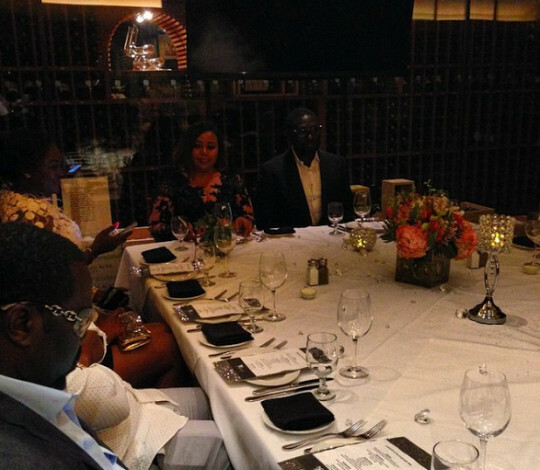 Ayiri Emami also threw her a lovely intimate dinner with friends and family at Del Frisco’s Grille in Houston Texas. 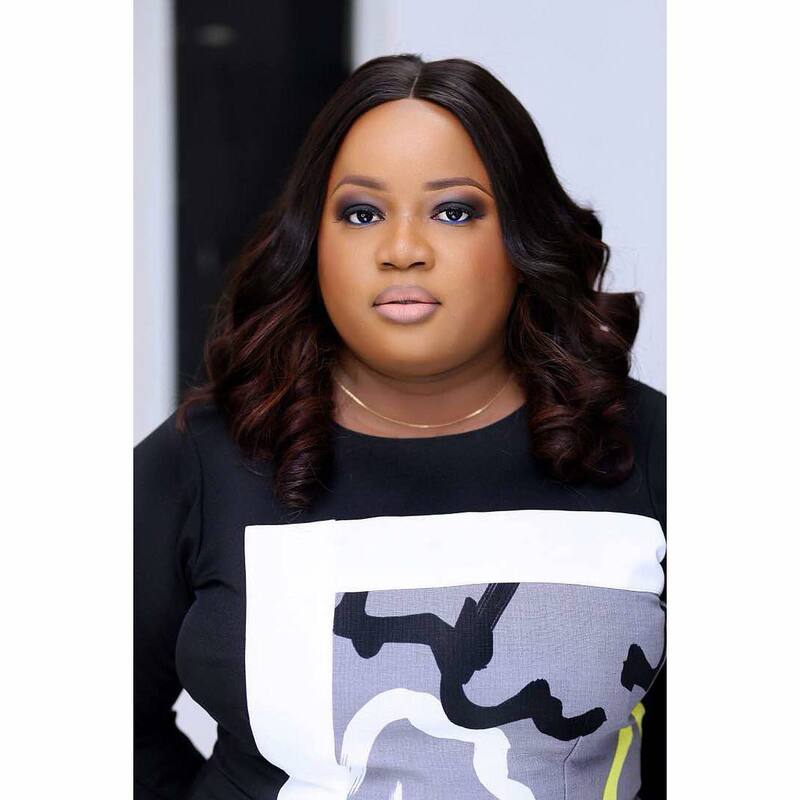 Apart from being into oil & gas, Ayiri Emami also owns a music label called 911 Label. 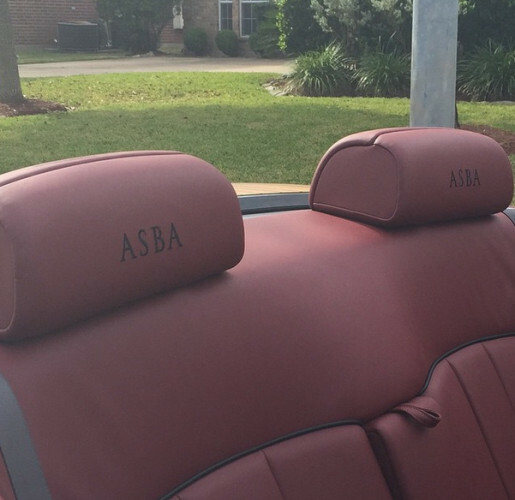 Ladies, what do you think of Asba’s birthday gift? What Would you do If you Found out Your Husband is Secretly Married to another Woman? Abeg which aspect of oïl and gas? BN una for specify na. smh!..Trust some people to downgrade any beautiful display of love and appreciation…we have a name for people like you… I’m sure you’ve never experienced love like that before.. I pray you do. 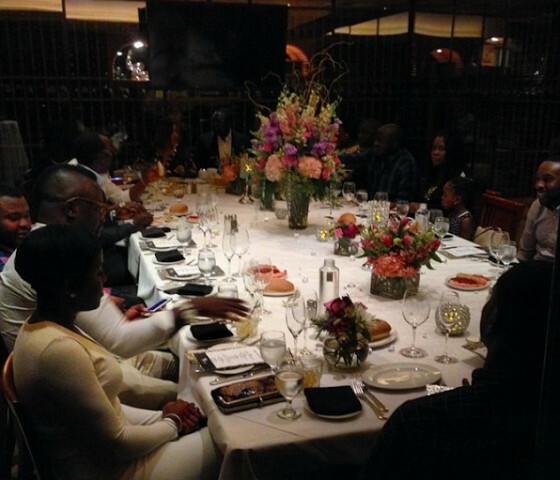 BN, una dey find trouble oh… As an aside, I love the table setting in the last photo. It’s quite pretty. awwwww cute! Please where is his wife from? The only thing I got from this gist is that the birthday girl is Scorpio (if her birthday date as mentioned above is correct). Ok I don’t know her from Adams but I just wanna say scorpios are the ish mehn! 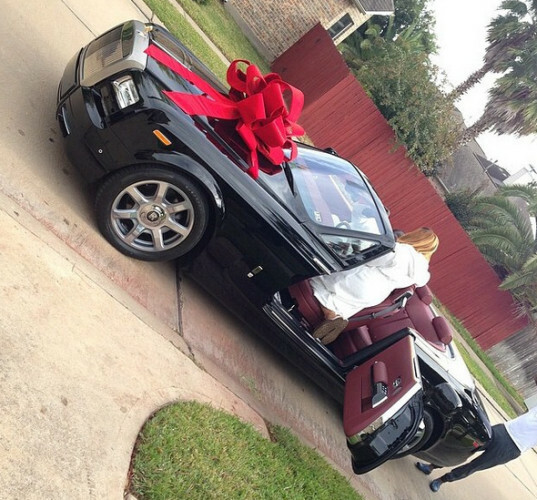 dem bad, like bad…. If u are a guy and u don’t have a sister, u ve never dated nor wifed a Scorpio, dude u have not lived, u have not experienced passion/true love Lol. Don’t believe me? Ask around lol. Scorpios rule, we just bad, team Scorpio. Ahhhhhhh… him don buy Omosede yacht and private jet be that. Don’t be shouting and tapping into blessings u know nothing about o. Just maintain ya peace of mind in the picanto ur loyal oga saved to buy for you. Madam insider that knows ayiri and omosede’s movements, well done o! so poverty equals love now??? or you think some loyal picanto buying ogas don’t also have an omosede somewhere or their own faults? Ode! Do you know the meaning of loyal? NICE !!!!!!!!!! 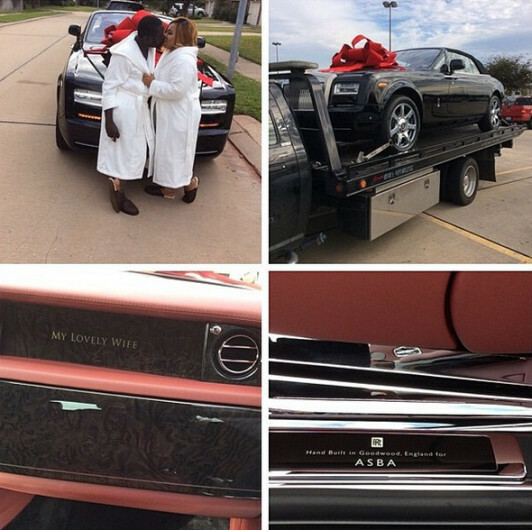 she deserves it jare, has been thru a lot with this guy. 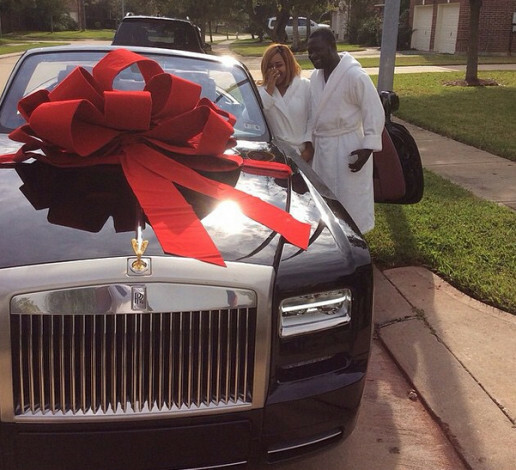 All well and good but she pays him back by waking up to that his face every money. No amount of money is worth that for me abet. Not that I’m looking for fyn guy but there is better someborri than this one o! I am a bit put off by the following….. 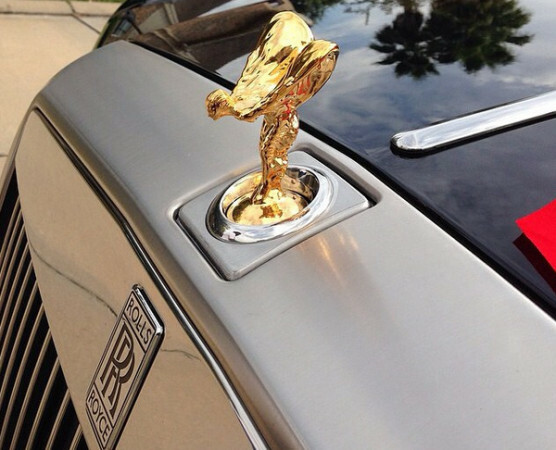 I have seen the neighborhoods that people who buy rolls royces live in for America……they have long private driveways…. 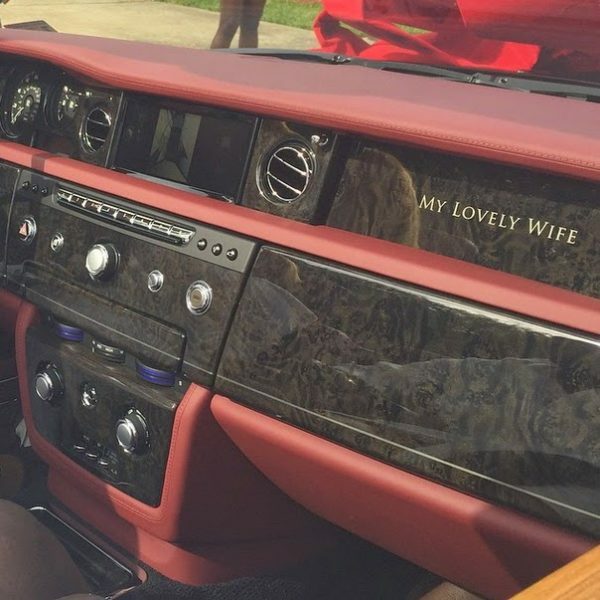 see the area where Steve Harvey used to give his wife a rolls recently…. Im just wondering about their neighbourhood. No mansion? Bunkering money, no be only oil n gas. 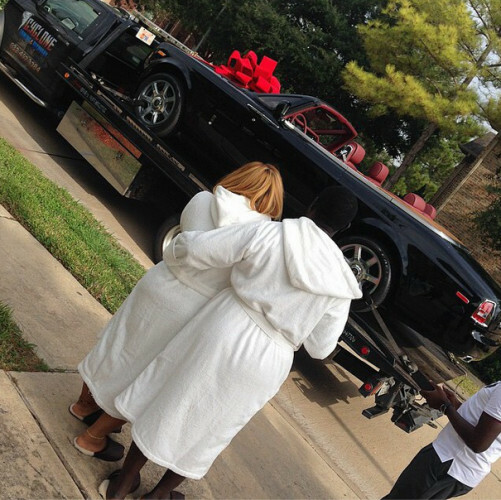 Nigerians will celebrate anybody as long as they are loaded n don’t care how they got their money. Abeg I no fit shout, I’m just glad my brother didn’t fall under pressure cos he was asked severally. Happy birthday Asba..
BN don dey celebrate this gangster . Money really wash away sins . Heaven nor be for poor man . I give him few years, he will go broke. if these are the type of stuff he spends money on. Cars dont appreciate, stupid!!! Buy her more valuable gift. It’s crazy how Nigerians worship money! 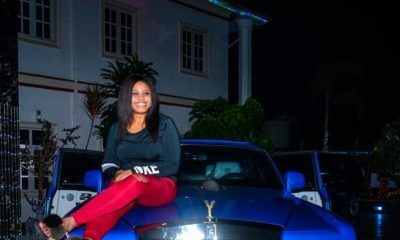 BN I am miffed go that you are now towing the same line as linda ikeji’s blog, if you like all the money in the world, it does not give class. High chief Ayiri Emami, God Go make you bigger,ooo!! Anybody wey plan you for nite no go see day break…..
People wit hate! The neighbourhood, d dis, d dat? No wonder nothing good comes their way. As for me; this is romantic. I luv every single bit of it.